Thanks to advances in health care and nutrition, our beloved family pets are living longer and longer. Senior pets are becoming the norm rather than the exception, and with the happy increase in the number of furry senior citizens, there has been a shift in health concerns for both veterinarians and pet parents alike. One area of great concern for veterinarian and dog parent alike is the decline in a senior dog’s cognitive abilities or brain function. Cognitive Dysfunction Syndrome, or CDS for short, is the term vets use to describe a degenerative brain disorder in senior dogs. Often, when pet parents are talking to their veterinarian, they will share that their senior citizen is uncharacteristically disobedient or soiling in the house. Other tell-tale signs of CDS include generalized anxiety (pacing or panting), confusion, decreased grooming habits, a changed appetite, acting depressed and forgetting regular habits. Signs of CDS are typically irreversible and progressive, but with effective treatment and management, the signs can be slowed and some can even be reversed. It is important to know that many of the signs of CDS can be confused with other diseases, such as hypothyroidism, arthritis or even dental disease, so if your senior dog is acting differently, schedule a full checkup with your local veterinarian. One of the first questions pet parents usually ask when their veterinarian mentions the possibility of CDS is, “Is it like Alzheimer’s?” The answer is “Sorta.” CDS shares many similarities to symptoms of Alzheimer’s in humans, including similar microscopic changes and oxidative damage to brain cells that correspond to the severity of the disease. In fact, the two diseases are so similar that many of the treatments that are used in Alzheimer’s were first developed in dogs. So if your dog has been diagnosed with CDS, what can you do? What about if you want to be proactive and take steps now to decrease the likelihood that CDS will mar your best friend’s golden years? In this video, Dr. Sarah goes over recent advances in treatment and prevention of canine cognitive syndrome. Borra’s, D., Ferrer I., and Pumarola, M. 1999. Age-related Changes in the Brain of the Dog. Vet Pathol 36:202–211. Dimakopoulos, A. C. and Mayer, R.J. 2001. Aspects of Neurodegeneration in the Canine Brain. Waltham International Symposium: Pet Nutrition Coming of Age. Lansberg, G. 2005. Therapeutic Agents for the Treatment of Cognitive Dysfunction Syndrome in Senior Dogs. Progress in Neuro-Psychopharmacology and Biological Psychiatry 29: 471-479. Milgram, N.W. et al. 2002 Landmark Discrimination Learning in the Dog: Effects of Age, and Antioxidant Fortified Food, and Cognitive Strategy. Neuroscience and Biobehavioral Reviews 26: 679–695. Fahnestock M, Marchese M, Head E, Pop V, Michalski B, Milgram WN, Cotman CW. BDNF increases with behavioral enrichment and an antioxidant diet in the aged dog. Neurobiol Aging. 2010 May 4. The skin is the largest organ in the body and requires proteins and other nutrients. It’s not surprising that subtle changes in the amount of nutrients supplied to the skin can have a noticeable affect on its overall condition. February is not just for lovers anymore. 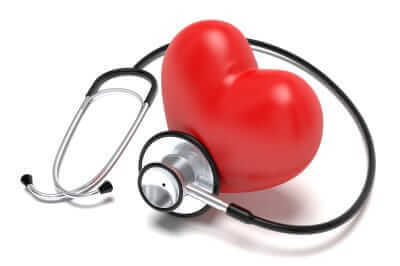 The American Heart Association (AHA) has officially dubbed February “American Heart Month”. So, what better time to start showing your heart more love than in February? The Center for Disease Control and Prevention claims that heart disease is the leading cause of deaths in the United States. Both the Mayo Clinic and the AHA suggest that consuming 2-3 (3.5 ounce) servings of omega-3 rich foods a week can help support a healthy heart.